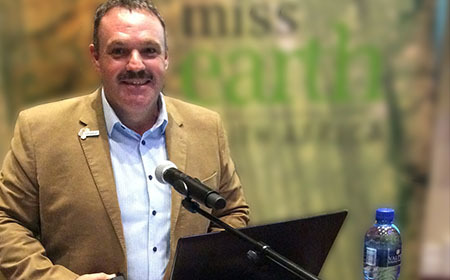 Jonathan has been speaking professionally for over 20 years and in over 10 countries. 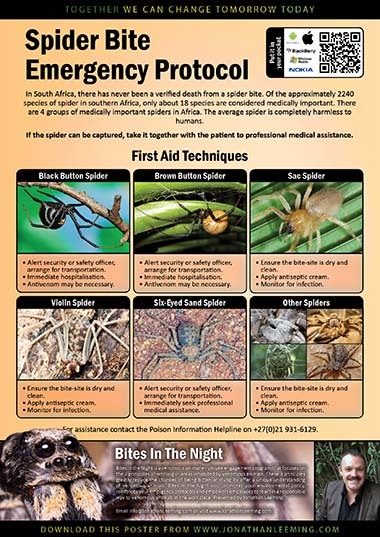 Southern Africa’s authority on southern African Spiders and Scorpions, natural history author and conservationist. 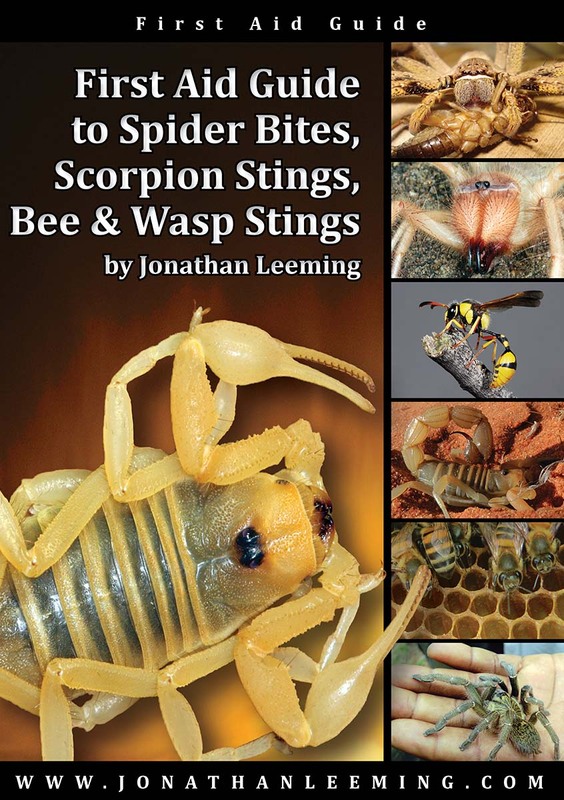 Jonathan offers unique insight into an unforgiving world that others fear, taking lessons from nature and applying them to motivate and inspire. Well known for his unique style, enthusiasm and energetic personality. 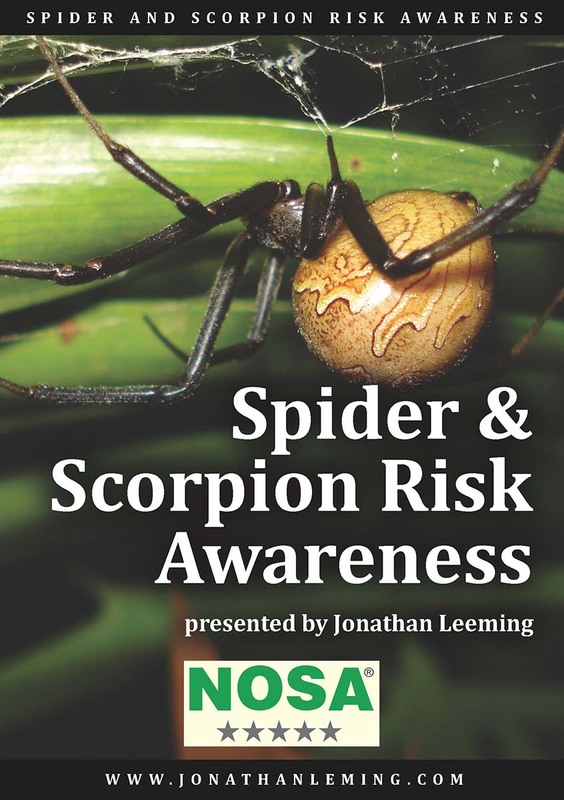 Jonathan’s presentations and lectures have been described by many as insightful, passionate and inspirational. 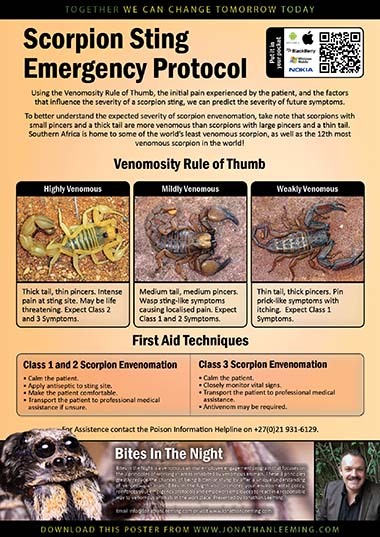 Jonathan’s highly acclaimed books, Scorpions of Southern Africa, and a First Aid Guide to Spider Bites and Scorpion Stings, have been described as milestones in venomous animal conservation. 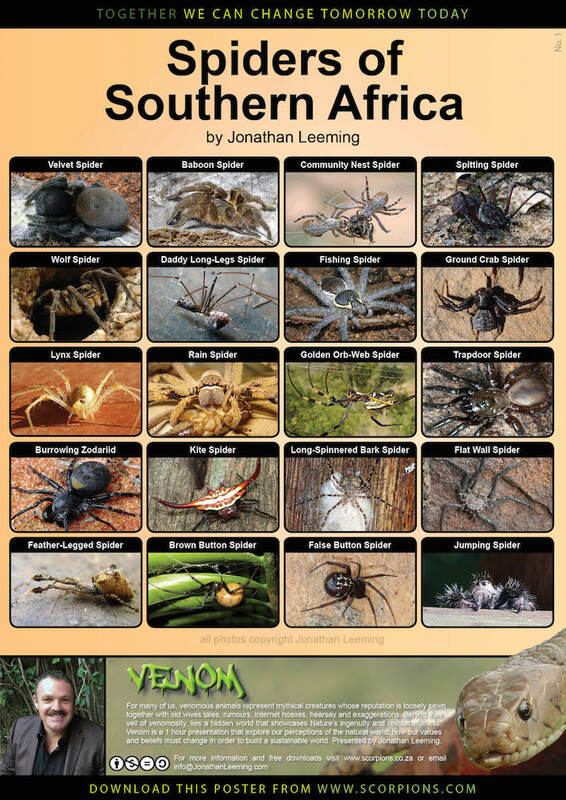 Jonathan’s mission in life is to work towards a better understanding and tolerance of these misunderstood creatures through surveys, conservation projects and environmental education. 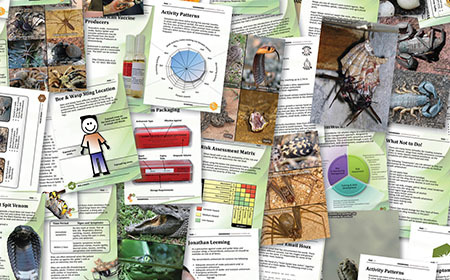 This Conservation Leadership workshop focuses upon why it is important to get our message out there to the world, so much so that if we do not get our message out to the world, we are doing the world a disservice! Why we all need to step up to the challenge of leading conservation efforts and focus upon effecting change. One of the main challenges to sustainability is that it means different things to different people. One World asks the right questions rather than giving all the answers. It provides the baseline understanding of how we have become disconnected from what really matters, in a very personal and individual way. It teaches the value of diversity and how we all start our journey from different places, and how the goals of sustainability represent a common destination. 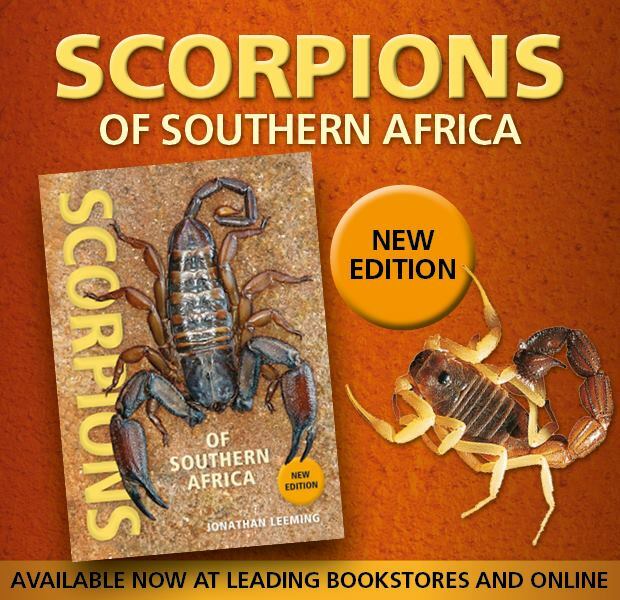 I’m proud to announce a new revision of Scorpions of Southern Africa, published by Struik. 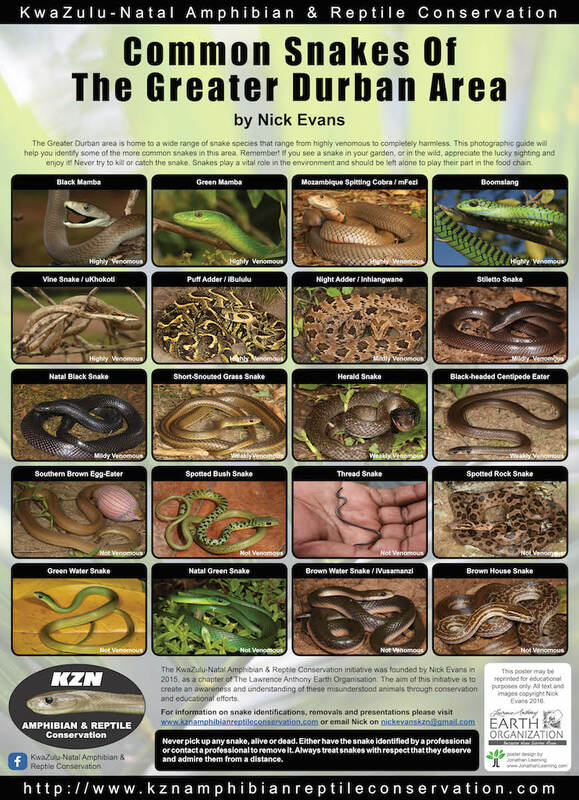 Written in 2003, the new revision contains more pages, envenomation symptoms, a chapter on identification and more species. Publish date is January 2019. If you want an invite to the book lunch, please subscribe to my newsletter. Complete the subscription form and you will receive a confirmation email. Simply click on the link in the email to confirm your subscription! Reading one of my books is one thing, but taking the time with me will open you mind to a new world that is right at your feet! 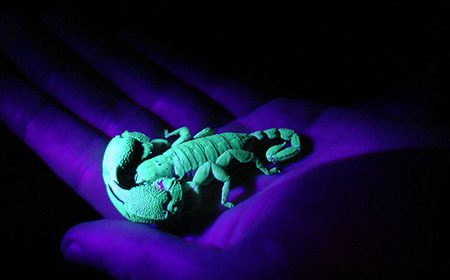 Join me for one of these events and experience the wonders of nature! 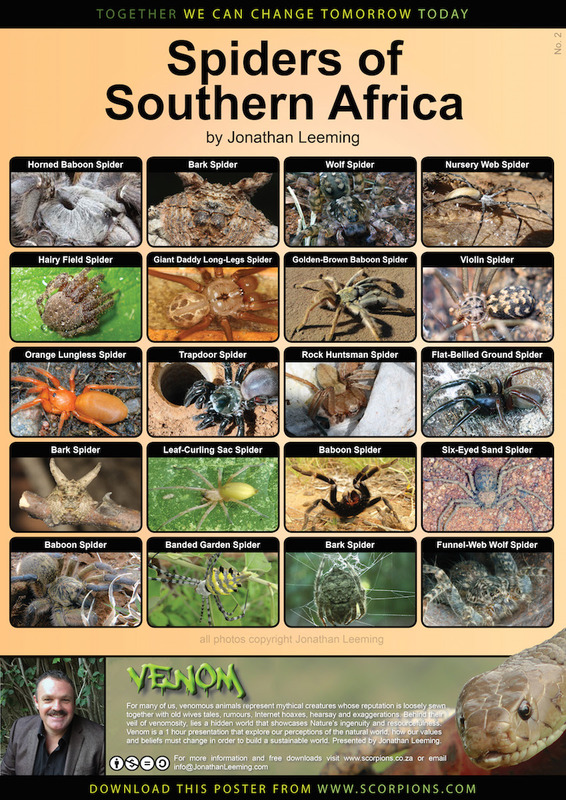 To arrange your public, private arachnid courses and fund raising events, contact Jonathan on Info@JonathanLeeming.com or complete the contact form. Contact Jonathan to arrange a customised private event at your location. 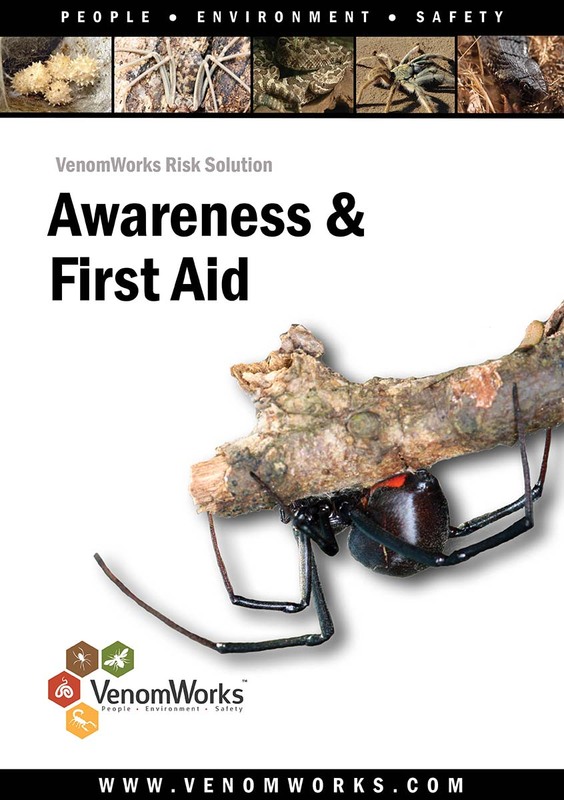 Events can be practical, presentations, courses, first aid seminar or venomous animal awareness workshop! To book Jonathan for your event please email Info@JonathanLeeming.com or complete the contact form. Private courses and training held at public venues or your own private venue. Private courses and fund raising events welcome! To book Jonathan for your training event please email Info@JonathanLeeming.com or complete the contact form. 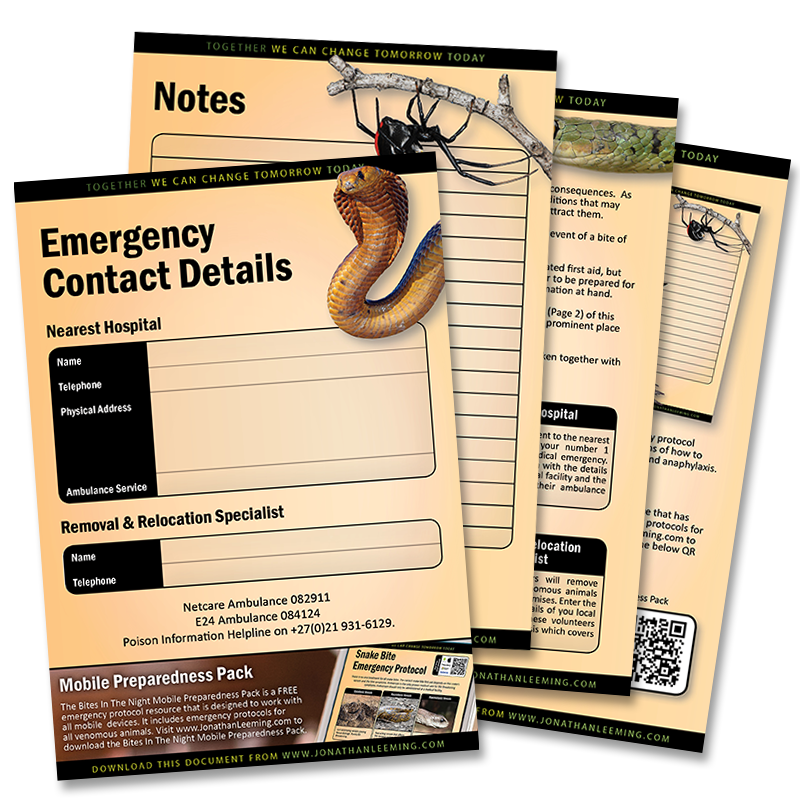 This emergency response plan template is designed to help you prepare for the unlikely event of a bite of sting from a venomous animal, and also any medical emergency. 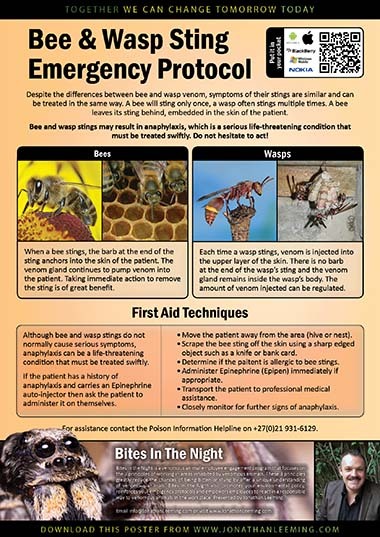 Simply download, print and follow the instructions. 44348 downloads and counting! Spread the love! 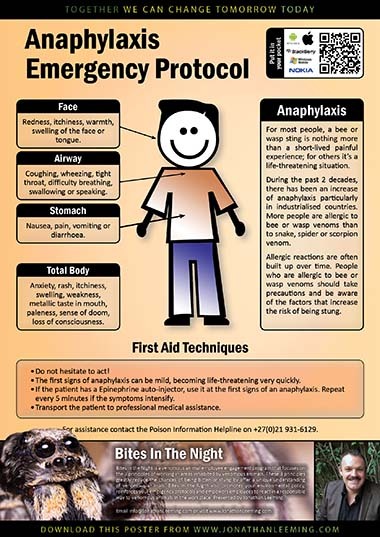 Please feel free to download the below posters and forward them to anyone else. 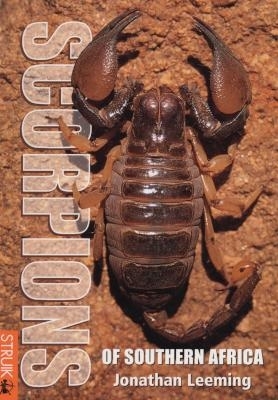 An account of a medically important scorpion sting, the events in the patients own words and some comments. 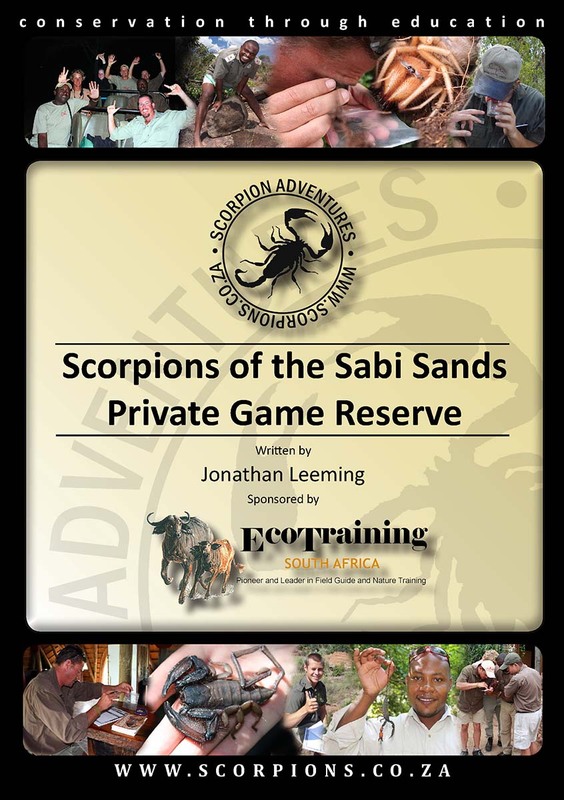 Lodge training consists of activities scheduled around participant availability and location. If you are enquiring about booking me for your event, please remember to add the date and venue (town, city) of the event.